In order to have a clear offer, Librairie Audio offers postage worldwide. 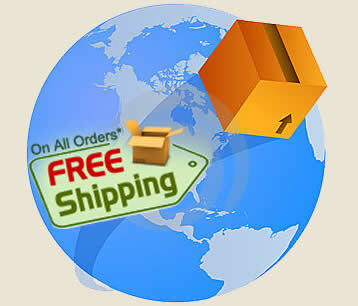 Whether you live in France, Australia, Canada or Chile, China or Indonesia, the shipping of your order is free of charge. You only pay the price posted on the products. We guarantee the receipt of ordered products to the delivery address stated on your order. It is also very easy from anywhere in the world to send a gift to a relative or friend living on the other side of the world. In some countries, however, orders may be subject to a customs duty, it is your responsibility to pay your country taxes. This is rare, but it exists, and it is your responsibility to inquire. Shipments are made using postal priority mail or colissimo according to the volume of the shipment. 1) Orders validated from Monday through Thursday are shipped by post the first business day following the validation. You may add one or two days on week-end. Deliveries are made by Frémeaux & Associates (the publisher) from its shipping platform in Vincennes near Paris. All products displayed on the site are available for shipping unlike most of the other web companies that do not carry stock. 2) Orders validated on Fridays and during the weekends will be shipped the following Monday or Tuesday depending on volume of orders received during the weekend. Shipments are made by Frémeaux & Associates (the publisher) from its shipping platform in Vincennes. All products displayed on the site www.librairie-audio.com are available immediately.